The local TV service for the Birmingham area is relaunching today as Made in Birmingham in a move seeking to end a tumultuous two years for the service. Saved from failure before it launched following the collapse of the previous backers of the service, with Kaleidoscope TV taking over the licence in November 2014, the local TV channel launched as Big Centre TV in February 2015 from studios in Walsall. But local viewers gave the service the thumbs down, describing the channel as "painfully slow." Now the service is seeking to start from a clean slate, with Big Centre TV going off-air at the end of last week ahead of today's relaunch, which took place at 6pm. The relaunch sees the channel joining forces with other Made TV channels across England and Wales, with the new Made in Birmingham channel adopting a number of shared programme strands, including lifestyle programming from Channel 4, alongside refreshed local output, in a move that is hoped will make the local TV service sustainable and more popular among viewers. 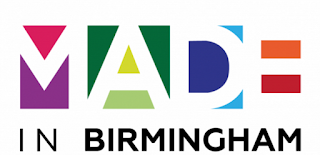 Originally announced as a takeover by Made TV, the relaunch of Birmingham's local TV service has now been identified as the result of a merger of the two companies. "This is an exciting time for local television broadcasting and we are delighted to be in partnership with Made TV, building upon our successes and continuing growth within and across Made TV channels. Made in Birmingham is the next evolution for us and we look forward to bringing even more great local content to viewers across the West Midlands." Made in Birmingham is available in parts of the West Midlands on Freeview channel 7 and on Virgin Media channel 159. As indicated by a press release from Made TV at the beginning of October, the channel will become available on Sky across the West Midlands region in the near future (expected early 2017), enabling viewers outside of the current terrestrial footprint to see the channel on TV. A live stream of the channel is available on its website.